Despite all the technology on the RRS Discovery they still have magnetic compasses and this one was pointing just off due north. 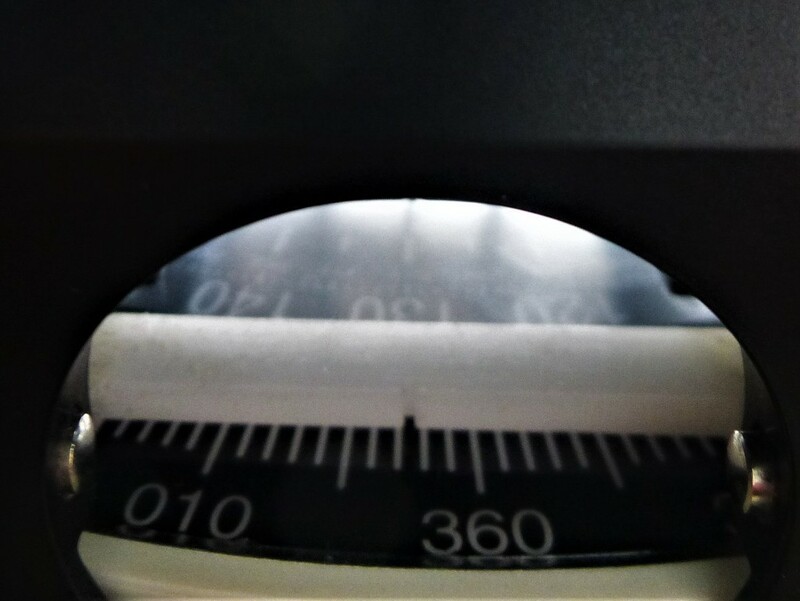 The navigator takes a sighting through a thin slit and reads off the position in degrees. Another 2.5 degrees and it could have been used for project-365 tag! !